A friend of Cecelia Warner nonchalantly sent her a video of a man drying his hands with a paper towel recently. 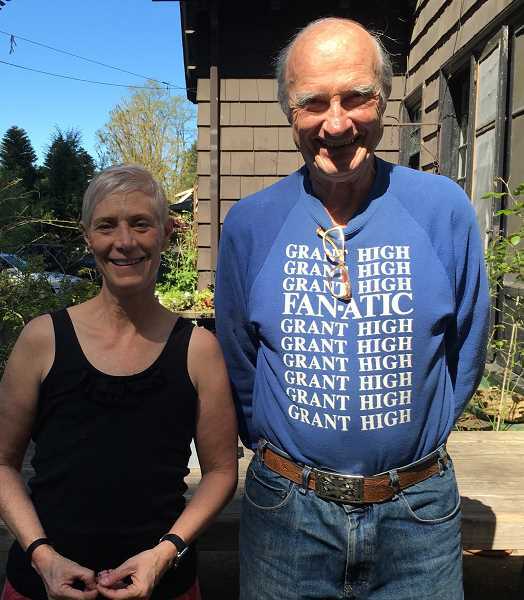 It changed my life, said Warner, a Forest Grove resident. The video shows retired attorney Joe Smith demonstrating his hand-drying method that could reduce the 13 billion pounds of paper towels used in the United States each year by 571,230,000 pounds. All it would take is for each person to use one less paper towel each day. Ive never been this excited about making such a simple change, Warner said. Thats why she took a $600 grant from the Forest Grove Sustainability Commission to create a simple pictorial explanation of the technique and print 600 stickers for paper towel dispensers throughout Forest Grove businesses and schools. 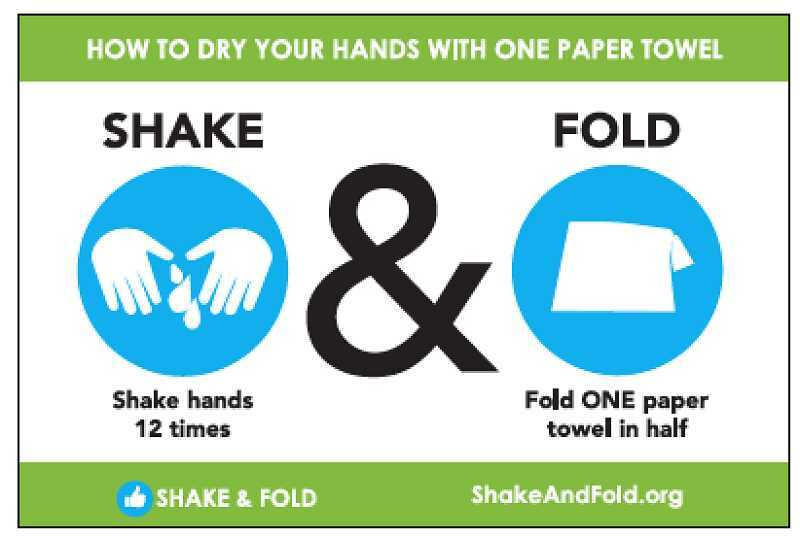 Smiths hand-drying technique  the Shake & Fold method  is an easy one. After washing your hands, shake them up and down in the sink about 12 times to shake off the water droplets. Then take one small paper towel and fold it in half. The folding step is important because the interstitial suspension doubles its absorbability, according to Smith. Warner worked with Forest Groves S2 Imaging to design the sticker and chose a material that would hold up to industrial chemical cleaners often used in bathrooms. Forest Grove School District Director of Facilities Billy Goldsmith has been very supportive, Warner said, and janitorial service provider Sodexo is on board because purchasing less paper towels will save them money. Warner put a sticker on each towel dispenser in every bathroom and classroom in each FGSD elementary school. She wanted to hit elementary schools first to help form habits in the younger children that will hopefully last a lifetime. Forest Grove High School generates about 17 pounds of paper towel waste in one day, said Warner, who assisted on last years FGHS waste audit. Warner is also partnering with the Forest Grove Community School, which recently earned its Oregon Green Schools certification. The school produces approximately 24 pounds of paper towel waste each week. Warner will be weighing the schools towel waste each week for a month now that the stickers are up to measure the difference it makes. Warner and school leaders are hoping to reduce the paper towels used by half. If she proves the stickers and method work, Warner is hoping to land more grant money. Shed like to be able to stick them in more locations and print bilingual stickers. Warner recently met Smith, who gave her his blessing to take the idea and run with it, she said. I felt like I was speaking to my favorite rock star, Warner said.